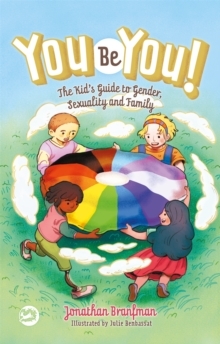 This is an illustrated children's book for ages 7-11 that makes gender identity, sexual orientation and family diversity easy to explain to children. Throughout the book kids learn that there are many kinds of people in the world and that diversity is something to be celebrated. It covers gender, romantic orientation, discrimination, intersectionality, privilege, and how to stand up for what's right. With charming illustrations, clear explanations, and short sections that can be dipped in and out of, this book helps children think about how to create a kinder, more tolerant world.